For an article on organic beer in the upcoming issue of Adventure Sports Journal, I did a fair amount of “research” by sampling a bunch of organic brews. One that clearly stood out was bison Bison Brewing’s Hop Cuvee. It’s a beer that couldn’t possibility exist a couple years, at least in organic form. It’s brewed with organic Citra and Simcoe hops which have only been certified organic in the last couple years. Centennial hops and a couple other hop varieties are also added into the mix. The light malt and dry character allow the hops to shine in all their grapefruity and piney character. If you ask me, Hop Cuvee stands up with the best of the West Coast IPAs. That’s a good thing because drinking organic takes a lot of chemicals out of our ecosystem that would be otherwise used to produce non-organic beer. According to Bison’s website, each individual who drinks a six-pack of organic beer a week forces the conversation of 1,700 square feet to organic barley agriculture. From this figure, I calculate that if only 1% of California’s 38 million residents substituted an organic beer for a non-organic beer twice a month, it would force the conversion of 1,140 acres of land to organic agriculture. So take this as a gentle nudge from your truly to encourage you drink a little more organically. Not only will you be removing chemicals out of ecosystem, there’s plenty of good organic brews out there. 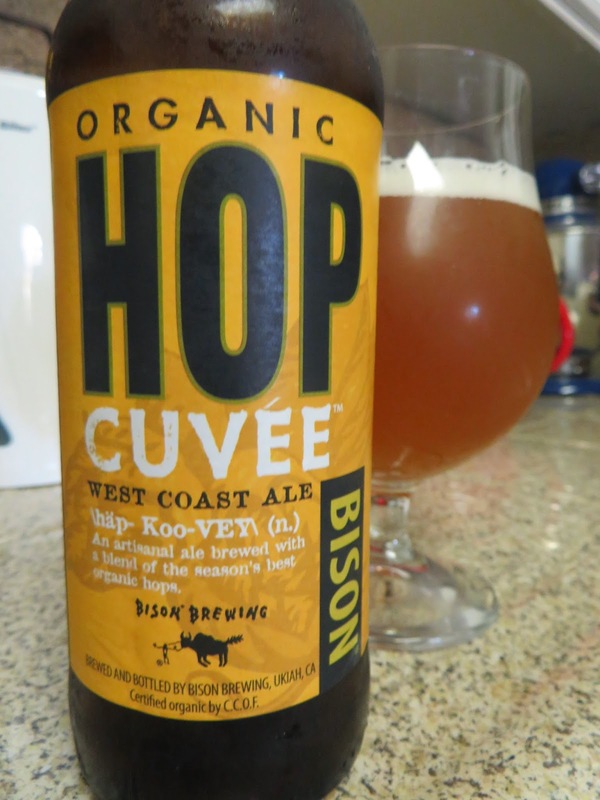 You’ll find few better brews, organic or non-organic, than Bison Brewing’s Hop Cuvee. How many Brown Ales have you tried that gave you the “Wow” factor? I can’t think of too many myself. Don’t get me wrong, I’m a big fan of the style that’s way under appreciated. But even I must admit a good Brown Ale is more like “background music” than a beer that commands your immediate attention. 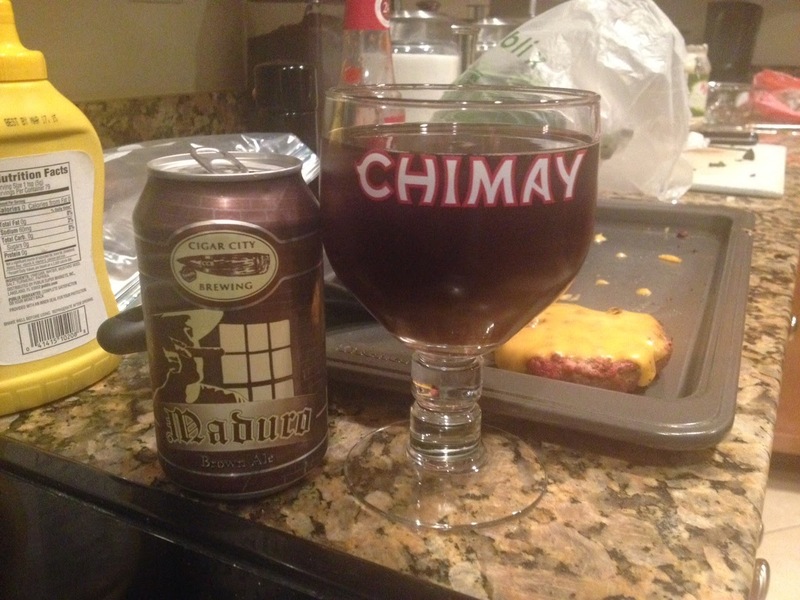 Maduro Brown from Cigar City Brewing is that rare exception. I picked this one up a local supermarket last month during the family vacation. I know Cigar City makes a bunch of special releases that beer geeks gush over but really wasn’t expecting that much from this Brown Ale in their regular line-up. I just figured it would go well with the burgers we were having for dinner. It caught my notice at first sip and would go well with just about anything. It’s rich, silky smooth, full of complex flavors of toffee and chocolate. Cigar City adds flaked oats into the grain bill to give it that wonderful texture and tie all the great roasted flavors together. One of the best Brown Ales I’ve ever had and another good reason to go back to Florida. After cooing over the subtleties and nuances of a couple of pale yellow brews for the last Beers of the Month, it’s high time I choose one that will put some hair on your chest. So this time around, I’m going with Bear Republic’s Apex IPA. Apex IPA is a testament to both Bear Republic’s hop alchemy and truth in advertising, as Apex does indeed reach the ultimate height the West Coast IPA can possibly reach. I knew this was going to be good the nanosecond all those wonderful grapefruit aromas hit my nose. Behind all those aromas were flavors of great depth and brightness of grapefruit and floral notes produced by a blend of Cascade, Columbus, Centennial, Cinook, Mosaic and (whew!) Citra hops. Underneath all those hops is a dry, hefty neutral malt backbone fully supporting all those hops while letting all their flavor notes shine through. At 8.95% abv, it’s either a strong IPA or a light Imperial IPA. You decide. 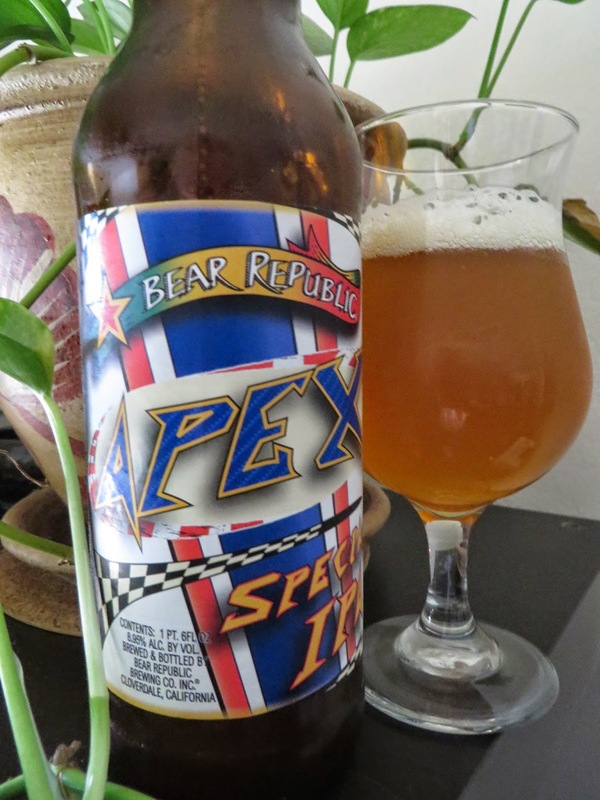 Bear Republic has been brewing Apex for a few years and even won Silver at the 2006 Great American Beer Festival but this is the first year they started bottling it. This is seriously the West Coast IPA all other West Coast IPA’s should aspire to. So, if you ever meet one of those jaded beer hipsters that tell you “Pliny the Younger isn’t that good”, you’ll know they’ve had an Apex. Or at least they should have. Our Beer of the Month for March comes from a brewery that seems like it’s been around for a couple years, but only started brewing late last spring. It’s from Santa Clara Valley Brewing, formed by multi-GABF award winning brewer Steve Donohue and Apple Executive Tom Clark. Their Electric Tower IPA drew plenty of raves, including one from yours truly, and Electric Tower tap handles have been popping up all over the South Bay. 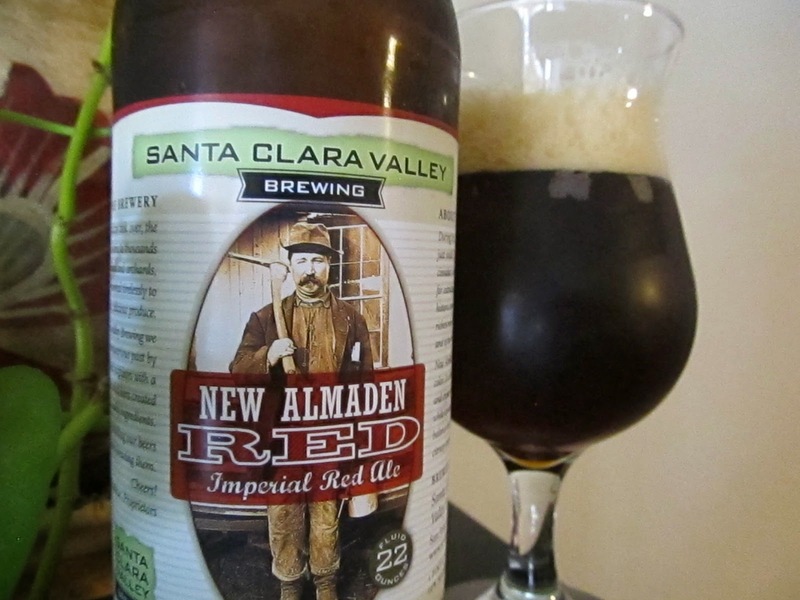 Their recently released New Almaden Imperial Red proves Santa Clara Valley Brewing is no one hit wonder. There’s plenty of malt, giving it a creamy mouth feel and lots of roasty and earthy flavors but hefty additions hops create citrus flavors pushing through all that malt goodness, resulting in a beer with plenty of bold flavors. For all its strength and assertiveness, it’s also surprisingly smooth. 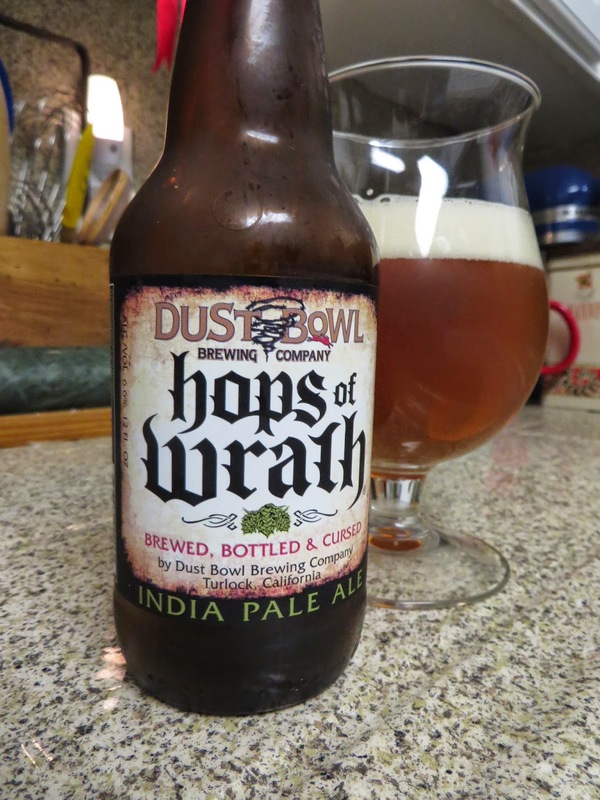 I hesitate to describe a beer at 10.0% abv as drinkable, but it’s certainly an easy sipper. 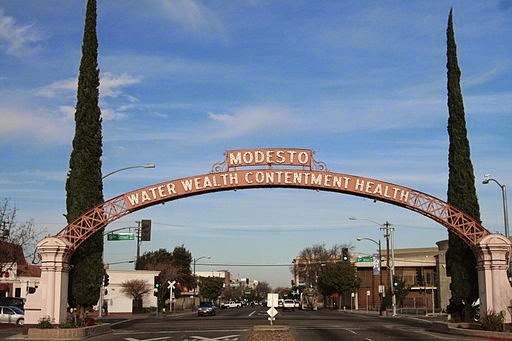 The name comes from one of my favorite places to the run in the Bay Area. Reddish, cinnabar mercury ore was mined at New Almaden just south of South Jose starting in the late 1800’s primarily for gold extraction to support the gold discoveries east of Sacramento. You can find ruins of these mines at Almaden Quicksilver Park, which has numerous trails, rugged hills and spectacular view for excellent trail running. Every Saturday and Sunday morning, plenty of running groups will gather at the MacAbee Road entrance to “do Quicksilver”. 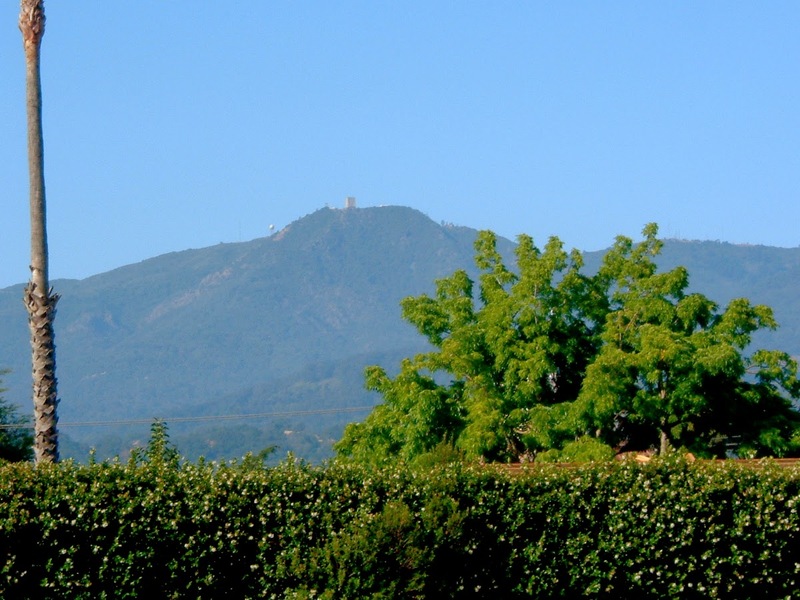 I’ve also taken the family for hikes there many times as it’s a great place to learn our region’s history, enjoy nature, take in excellent views of nearby Mount Unumhum and challenge yourself on the trails if you’re so inclined. Turns out, I’m not the only South Bay blogger that enjoys New Almaden Imperial Red and Almaden Quicksilver park. Check out fellow South Bay Beer Blogger Brian Wimsett’s post on True Brew Too-Beer and Friends. Our Beer of the Month to start off 2014 comes from up the road in San Francisco. It’s 21st Amendment’s Sneak Attack Saison. This unlikely winter seasonal was first released last year and was given heavy Beer of the Month consideration back then. Having enjoyed many a glass of this brew once again this winter, it seemed I had no choice but to grant Beer of the Month status to Sneak Attack. And so I did. Saisons are traditionally a summer beer style, the name coming from the French word for “season” with this lighter, often yeastier style of beer brewed for the consumption of summer farm workers in the French countryside. Sneak Attack is not all that yeasty, but brewed with cardamom, has great tangy, spicy flavors with slight lemon note and a lightly herbal finish. This flavorful and refreshing winter seasonal is ironically perfect for this hot and nearly rainless Northern California winter. It almost makes you forget California’s severe drought conditions. Of course, it wouldn’t be a 21st Amendment Beer without the fun, historically inspired can art. The bare-chested George Washington stoically crossing the Delaware River in his swim trucks to surprise the British is one of 21st Amendment’s best labels from a brewery that comes up with plenty of clever ones. 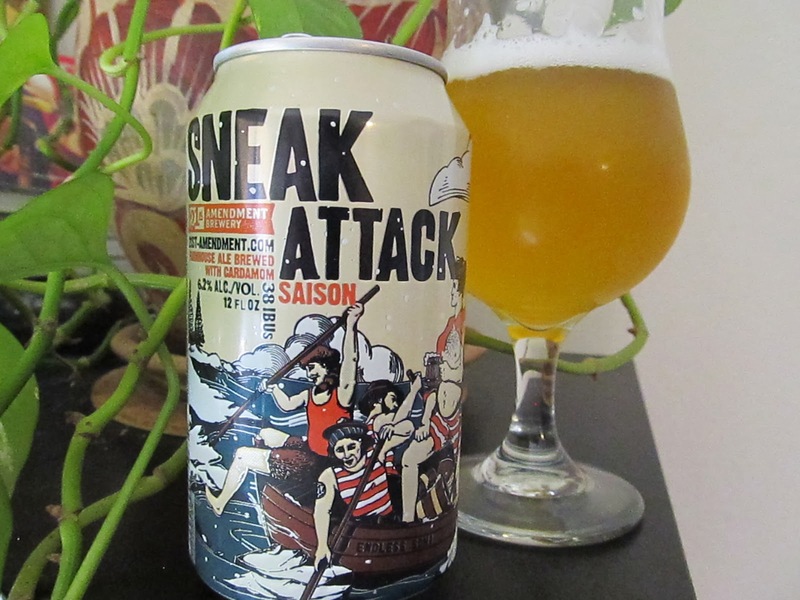 Sneak Attack Saison: In many ways, the perfect beer to celebrate our California “winter”.